The survival of the Angry Birds is at stake. Dish out revenge on the greedy pigs who stole their eggs. Use the unique powers of each bird to destroy the pigs’ defenses. 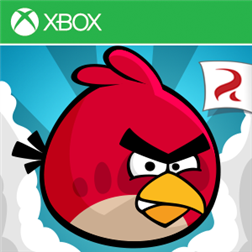 Angry Birds features challenging, physics based demolition gameplay with hours and hours of replay value. Each of the over 300 levels require logic, skill, and force to solve.